Beloved masters, never before have you had such a wondrous opportunity to serve humanity and the Creator. You are at a crossroads in your evolutionary process, for the world you have known in the past is slowly fading away. As Divine Sparks of the Creator, you were given a great gift, a treasure chest of Creator Essence to use in any way you desired. 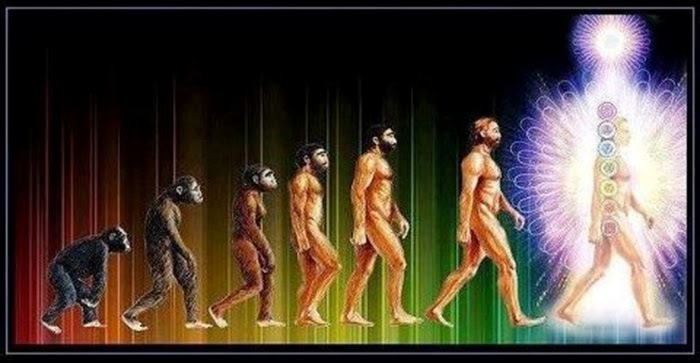 You began this lifetime with a portion of Adamantine Particles of Light (the Essence of the Supreme Creator) stored within your Sacred Heart, and also a reserve tucked away within your Root Chakra--the Sacred Fire Seed Atom sometimes called Kundalini and portrayed as a coiled serpent. You have always had access to the Sacred Fire stored within your heart; however, you have to remember how to use your “Keys to the Kingdom” in order to ignite and effectively use this power source of Divine Light. As an en-Lighten-ed Being, you have begun to build a bridge of consciousness back into the higher realms of this Sub-universe. It is called the Antakarana in ancient, esoteric teachings and the Rainbow Bridge currently. In order to return to mastery, you must learn to use the three aspects of your mental nature: the brain–mind–Soul. You must also clear the distortions of the subconscious mind and attune the conscious mind to your Soul Self so that the wisdom of your Soul and Higher Self can begin to flow throughout your four lower-bodily systems. You are in the final stages of a most wondrous experiment: perfecting and merging Spirit with matter in its highest form. 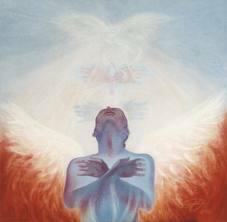 The ego desire body, the will of the physical personality, must merge with the Will of Spirit into one fused unit of consciousness. In order to evolve/ascend into the next higher frequency levels of consciousness, you must endeavor to stand firmly mid-way on the path of Light and shadow as you traverse the realms of duality. It is vitally important that you access the Seed Atoms of hope, inspiration and intuition, which are stored within your Sacred Mind and Sacred Heart. 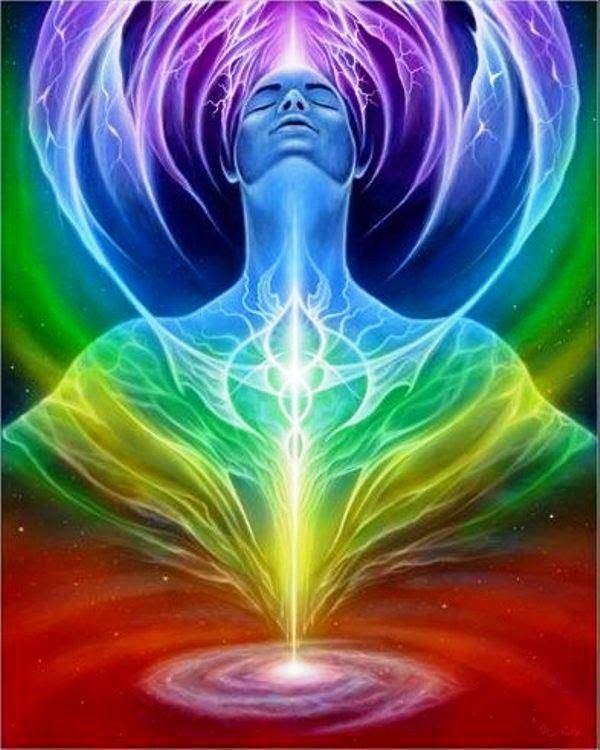 As you remove the fog of negativity from your etheric body, your mind and emotional body, gradually, these precious Seed Atoms will begin to pulsate and release the potent, cosmic virtues, talents and wisdom stored therein. You must strive to disengage yourself from the glamour of the material world and from the restrictive forces of matter. The Soul is forever seeking unity. You are learning to be a practical mystic—to stand firmly anchored in the refined levels of the third- and fourth-dimensional environment as you gradually merge the multiple facets of your Beingness into the entry levels of the fifth dimension. You are well on your way to taming the human intellectual mind in order to access and use the intuitive, higher mind. The inner life of a Self-master is lived and ruled from a mental state of consciousness. Emotions, thoughts and actions are all filtered through the mental faculty of the Soul. As a result, illusion gives way to intuition, whereby higher frequency knowledge gradually becomes available. The lure of the material world will slowly fade as the ego desire body loses its dominant hold and the personality becomes Soul-infused. As a Self-master, you will learn to efficiently function within the combined fields of dynamic, physical force and cosmic energy. The Earth and humanity are on the verge of the greatest awakening and transformation since the fall of human consciousness into the lower realms of density. As the Earth and humanity make ready for the next great leap in evolution and expanded consciousness, all is being shaken at the deepest level of existence. The higher you reach toward enlightenment, the deeper you must go into the core essence of your past. As you tap into the memory cells of your cosmic past, and become aware of your royal heritage, you are also remembering how it was, time after time, in your ancient past when your reality and the world seemed to turn upside down. Everything that was familiar swiftly changed in some manner or was swept away, often though wars between nations and/or races, or by ecological disasters via the elements of nature: fire, water, air/wind, and earth movement. As we have stated many times before, “our Mother/Father God does not punish.” However, as the universal pattern of change becomes even more forceful, and the Shift of the Ages accelerates, all that is not based on truth, harmony and peaceful coexistence will be shaken to its core. Many precious Souls who are not ready to graduate from the wheel of reincarnation and karma are transcending into the higher realms in preparation for an upgrade in consciousness as they prepare for a new and better cycle of experience in the material/physical realms of expression. The lower, drastically imbalanced third and lower fourth dimensions are gradually being returned to the original designed spectrum of duality. That ancient, distorted project or experiment in co-creation is coming to an end and will never be repeated. Because of what you, the Legions of Light, have accomplished, it is assured that no other group of Souls will ever have to experience the deep level of suffering, fear, negativity and deprivations that all of you have experienced during your many sojourns in this Sub-universe and especially on planet Earth. At the turn of the century, the beautiful, faithful servants of the Creator and our Father/Mother God, the great Devic and Elemental Kingdoms, were given another new directive—instructions to begin to infuse the Earth with an acceleration of the elements of life, cosmic fire, the Adamantine Particles of Creator Light, the life force energy of all creation: the air element, the Sacred breath of our Father/Mother God; the cleansing and life-sustaining element of water, and the foundation of your existence on the material plane; and the elements of earth. 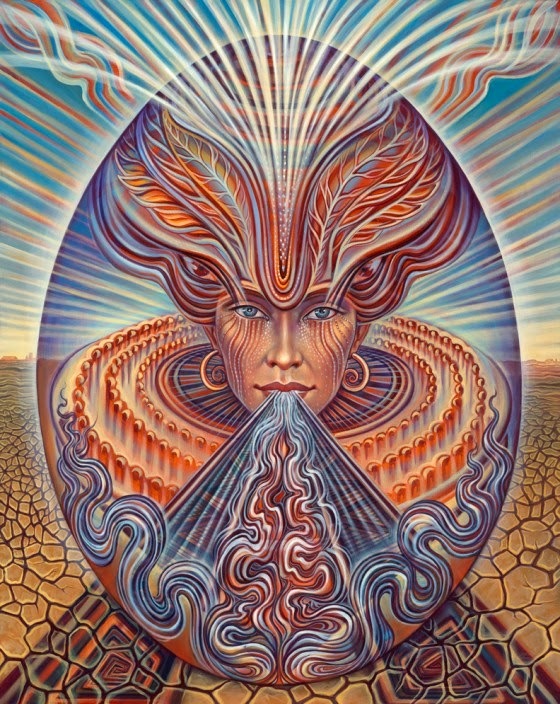 All areas of the Earth are experiencing erratic weather patterns and shifting land masses as your Mother Earth sheds more density, and releases the acute buildup of impacted negative thought forms from deep within her physical vessel. The elements are not your enemies, they are Divine gifts from the Creator; however, humanity has misused and abused the Earth and each other long enough. It is time for all of you, as sentient Beings, to take full responsibility for your creations. Each and every Soul on Earth is in the process of suffering from the consequences or reaping the rewards of their actions. It is quickly becoming evident which areas of the planet are most in need of cleansing and balancing; however, we do not wish to instill fear or doubt within the consciousness of the masses. In fact, that is what we wish to dispel as we endeavor to assure you that you and you alone will decide whether you move into the new environment of higher consciousness as a Self-master, or whether your distorted energy patterns magnetize cataclysms and chaos into your personal environment. Your auric field and your radiance will burn brighter and will expand far and wide as you integrate more and more facets of your God-Seed Atom—that facet of your Divine Self which resides in the highest dimensions of existence, the beginning point for the refracted, Self-conscious Beings of Light within this Sub-universe. Isn’t it wondrous to have a constant companion who directs, inspires, nurtures and even protects you? Isn’t it amazing how so many Soul families are coming together to share higher truths, talents and experiences—who are joining together to create a powerful, synergistic thought form of love, benevolence and empowerment? Those of you who have faithfully stayed the course are downloading amazing new concepts of cosmic wisdom, and you are being assisted in many ways as the floodgates of abundance are opening wider and wider. Your highest visions are beginning to manifest when they are in alignment with the greatest good for all. Inspired thoughts and fresh, creative ideas are flooding the minds of those who have the ability to download these refined concepts, and then bring them to fruition in material form for the benefit of all humanity. It may not seem so to many of you; however, a wondrous new vision, a powerful probable future for humanity and the Earth has taken shape, and is being strengthened and magnified moment-by-moment. As more and more of you slowly withdraw your attention and thoughts from the self-limiting thought patterns of old, they are gradually dissolving and becoming ineffectual. 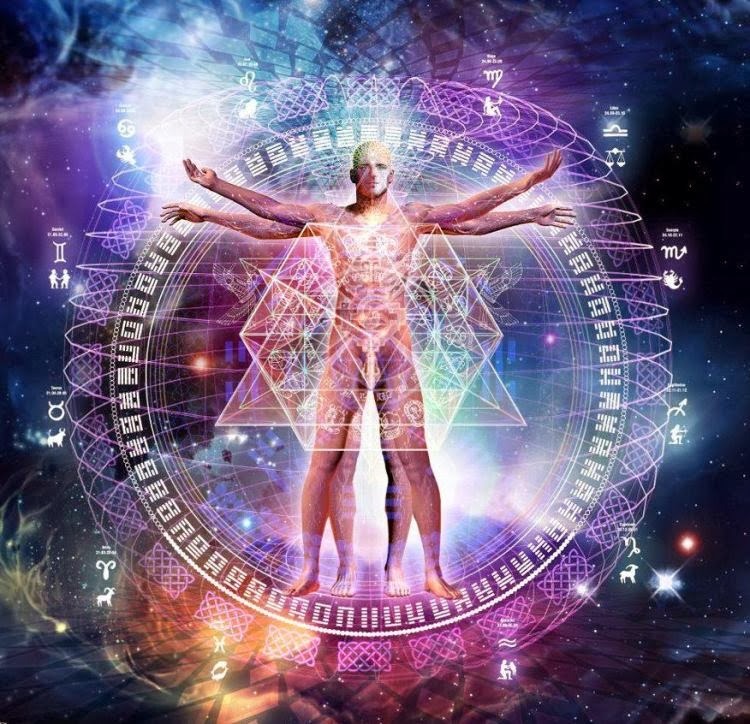 When you allow the attributes of your God–Self to emerge and the refined energy of Spirit becomes the dominant force in your life, the path is cleared for you to begin the process of accessing and integrating the full spectrum components of the Twelve Rays stored within your Diamond Core God Cell. My beloved champions of Light, it is not a time for the faint-hearted, and it is time to stop dabbling in spirituality. Many of you have been half-hearted in your endeavors to awaken to the wisdom of the Soul and your Higher Self. It is time to set your hearts afire with an intense desire to claim Self-mastery and to become a Soul-Seeker instead of a pleasure-seeker. 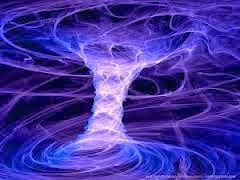 The secrets of how to traverse the dramatic changes and the chaotic times of transformation are constantly being revealed to you. However, you must make the effort and actively strive to incorporate the fail-safe methods available to you, if you are to successfully ride the crest of the waves of change during the turbulent years ahead. It is a time of LETTING GO OF THE OLD–MAKING WAY FOR THE NEW. An upgrading and refinement of every facet / Spark of God-consciousness, as well as of every dimensional level, are gaining momentum as the rarified Light of the Supreme Creator beams forth to the very edge of manifested Creation within this Sub-universe. Beloveds, we see the Light expanding and gaining strength in many places around the world. We also see your radiance and influence growing, and you are making a positive impact on more lives than ever before. You must remain heart-centered and Soul-focused as the chaos and fear grow and spread throughout the planet. We have now joined forces, and we are and ever will be invincible, for we are fulfilling a Divine mandate from our Father/Mother God. Eternal love, protection and blessings are yours, now and forever more.